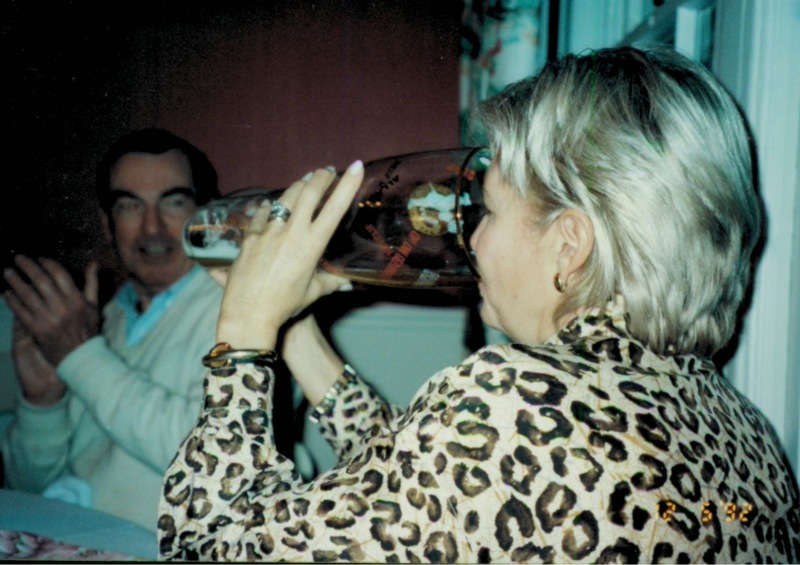 My mom's side of the family is German so it has always been a tradition for my family to host an Oktoberfest party. It's a great excuse to have good food, fun and drink German beer out of the boot! Below are the recipes my mom uses to make traditional German fare. I included an adorable invitation (available at paperlesspost.com) and some photos of my family enjoying the festivities. My family always "shoots the boot." 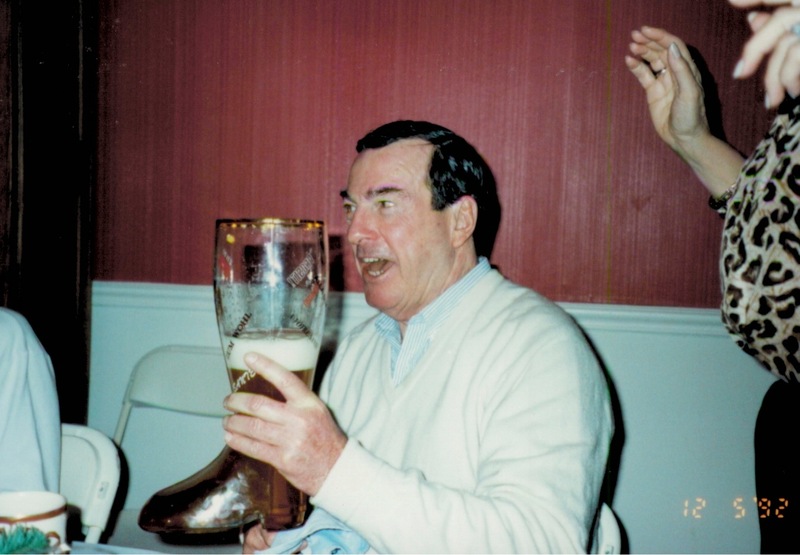 We have a huge glass boot and we fill it with beer. You drink and then pass it to the next person. When it starts to get to the bottom you have to be strategic about it, though, because whoever finishes it wins. You don't want the person after you to finish and win! My grandma, Mimi, shooting the boot. 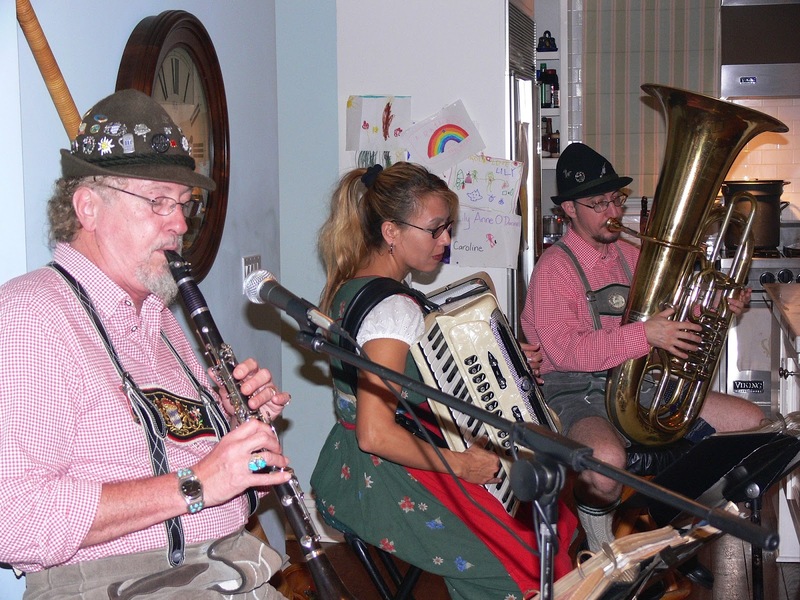 My uncle, Chris, had some authentic German music playing at one of his parties! 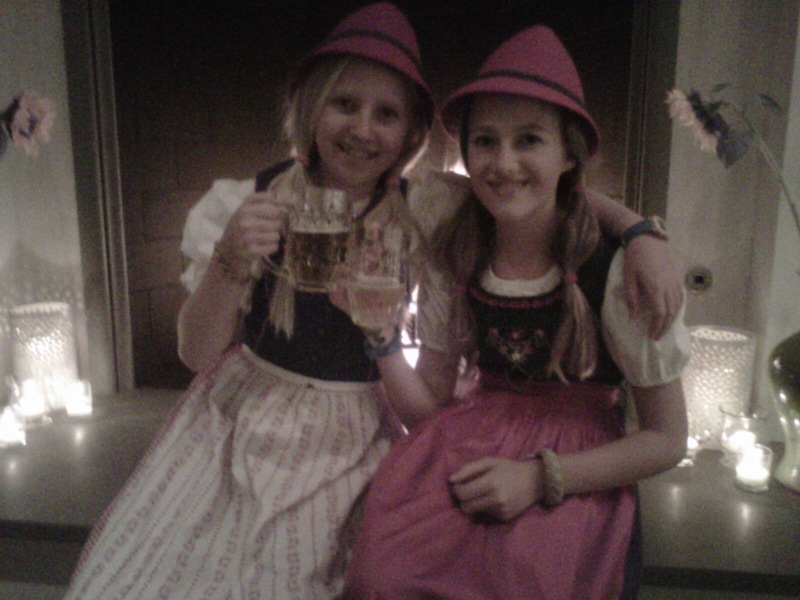 My cousin, Lilly, and her friend in their dirndls. The food is, in my opinion, the most important part. Traditionally, rouladens, spaetzle and red cabbage are served. My mom uses Aunt Nellie's cabage and gets a lot of her German "doings" from www.bavariabratwurst.com. 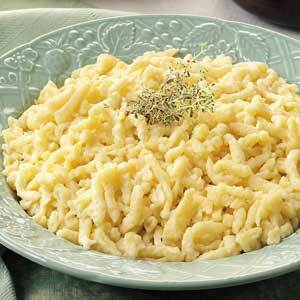 The recipe for spaetzle is here and below is my mom's recipe for rouladens. 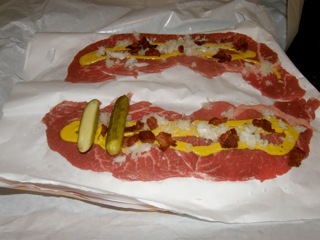 -Brown the bacon, chop onions, slice pickles. 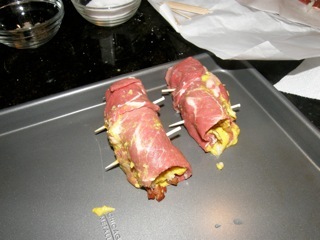 then assemble top round beef slices, salt pepper, mustard, onions, bacon wrap up with pickle. -Brown in hot pan with oil, after they are all browned, add red wine and beef stock, scrape up all the bits from pan add rouladens back to dutch over, cover and bake at 325 degrees F for about 2 hours. -Let cool, put them and juice in a big bowl and refrigerate overnight. -The next day put the juices back in dutch oven, make a butter/flour slurry, add to juices, this will thicken the gravy, add the rouladens back to dutch oven and warm up then serve. 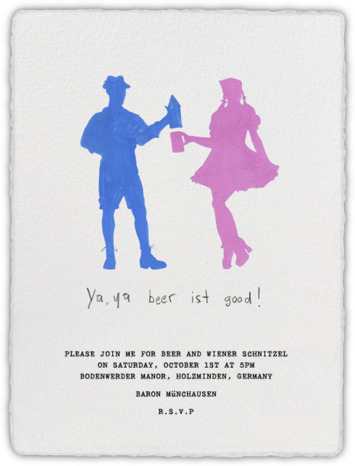 Oktoberfest parties are an absolute blast so grab your lederhosen, your boot and beer and have a ball!